Looking for a caravan holiday home? You're in the right place – we have a selection of new and pre-owned caravans for sale, with prices starting from £21,995, and new from £24,995, we only offer brilliant value caravans with beautiful contemporary designs and all the fixtures and fittings to really make you feel home from home. Plus, with a range to suit different tastes and budget with flexible finance options, buying your dream caravan can be as affordable as it is exciting. The Delta Goodwood is our most affordable 2019 model and offers double glazing and electric panel heating throughout. 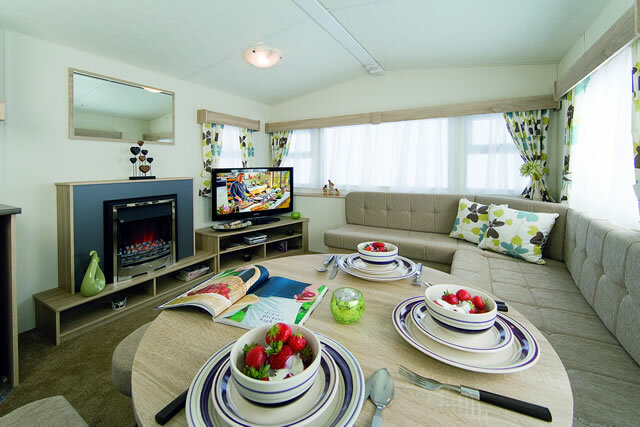 The open plan living and dining area is the ideal starter caravan. 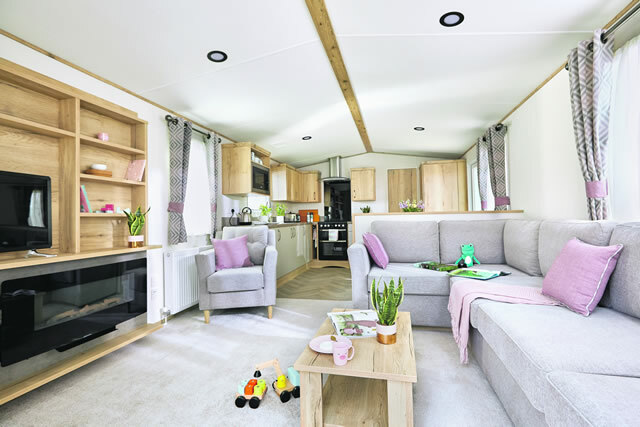 The ABI Summerbreeze is an exclusive model, that provides luxury, comfort with double glazing and central heating throughout and an abundance of space and storage for the price of a mid range holiday homes. The Blenheim is the perfect holiday home if you are looking for the ultimate in luxury. 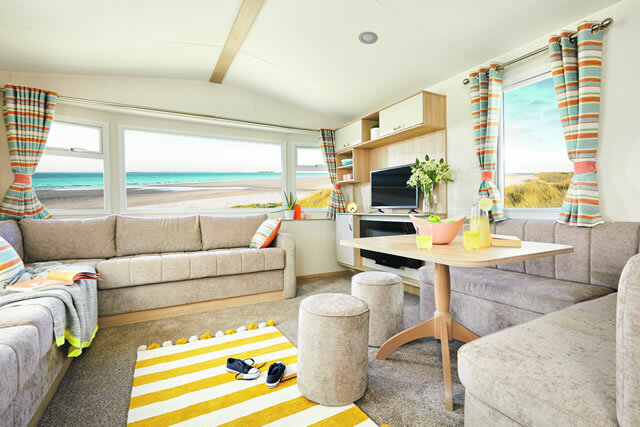 The caravan comes fully furnished with extras including double glazing, central heating and outlook patio doors, so you can enjoy the stunning sea views of the Vale of Glamorgan Coastline. If you are interested in one of our fixed caravans, simply fill out the form below, and our team will get back to you quickly. * Holiday Homes Package £24,995 cash deposit £9,998. Charge for credit £5,773.88. 84 monthly payments of £249.98 based on a flat rate of 5.5% - fixed at 10.6% APR. Total amount payable £30,778.88(Example Only).